A custom designed test and measurement solution has been developed to meet customer requirements for a major US Antenna manufacturer. 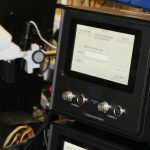 The product was designed and delivered within two months and interfaced to the customers hardware via an RS485 interface meeting the AISG 2.0 standard. A software adaptive search algorithm was developed to identify equipment connected on the interface bus.